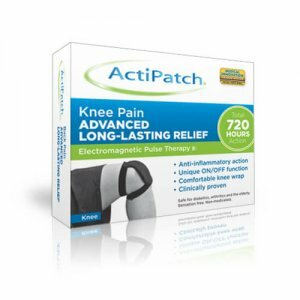 The ActiPatchTM Knee Pain product provides advanced long-lasting pain relief using Electromagnetic Pulse Therapy and works great for tendinitis, runner’s or jumper’s knee, strains, sprains and general knee pain. ActiPatchTM is drug and ingredient-free so is ideal for continuous use and can be used while taking any other medication. Unlike a TENS machine, you will not feel heat or vibration, ActiPatchTM is completely sensation free. Try ActiPatchTM Advanced Long-Lasting Pain Relief Today! 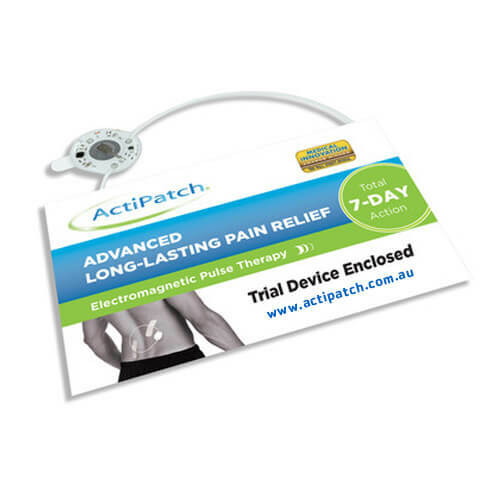 ActiPatchTM provides advanced long-lasting pain relief using Electromagnetic Pulse Therapy and works great for chronic back pain, knee pain, shoulder & neck pain, pain due to arthritis, fibromyalgia, sprains & strains. ActiPatchTM is drug and ingredient-free so ideal for continuous use and can be used while taking any other medication. Unlike a TENS machine, you will not feel heat or vibration, ActiPatchTM is completely sensation free. Now you can try ActiPatchTM 7-Day Trial for only $14.95! 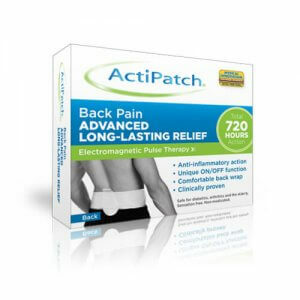 The ActiPatchTM Back Pain product provides advanced long-lasting pain relief using Electromagnetic Pulse Therapy and works great for lower back pain, backaches, sciatica, strains, sprains and general back pain. ActiPatchTM is drug and ingredient-free so is ideal for continuous use and can be used while taking any other medication. Unlike a TENS machine, you will not feel heat or vibration, ActiPatchTM is completely sensation free. 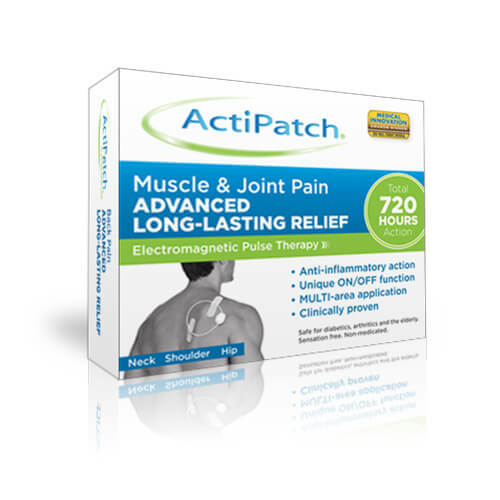 The ActiPatchTM Muscle and Joint Pain product provides advanced long-lasting pain relief using Electromagnetic Pulse Therapy and works great for muscle soreness, strains & sprains, neck & shoulder pain, hip pain, carpal tunnel, sprained ankle, postoperative recovery and so much more. ActiPatchTM is drug and ingredient-free so is ideal for continuous use and can be used while taking any other medication. Unlike a TENS machine, you will not feel heat or vibration, ActiPatchTM is completely sensation free.